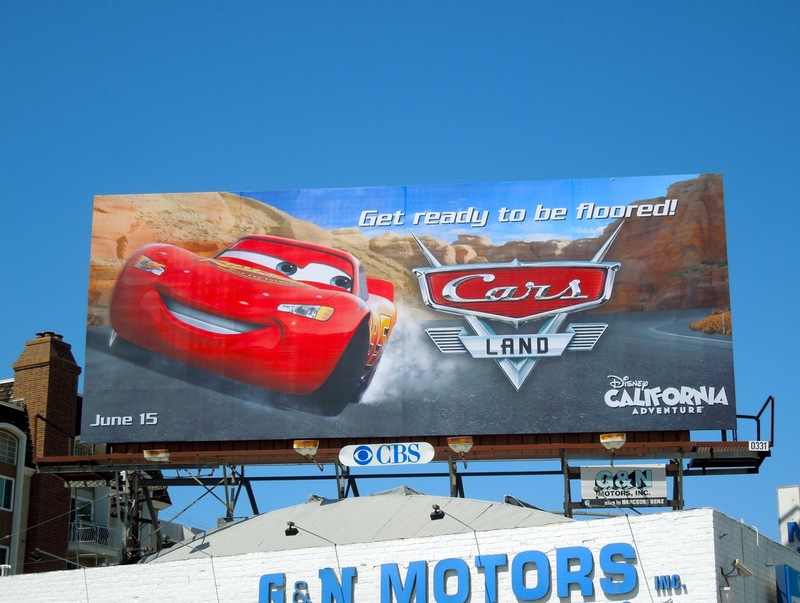 Get ready to be floored, not only by Cars Land itself, but by these cheerful billboards to promote the major new attraction at Disney California Adventure. 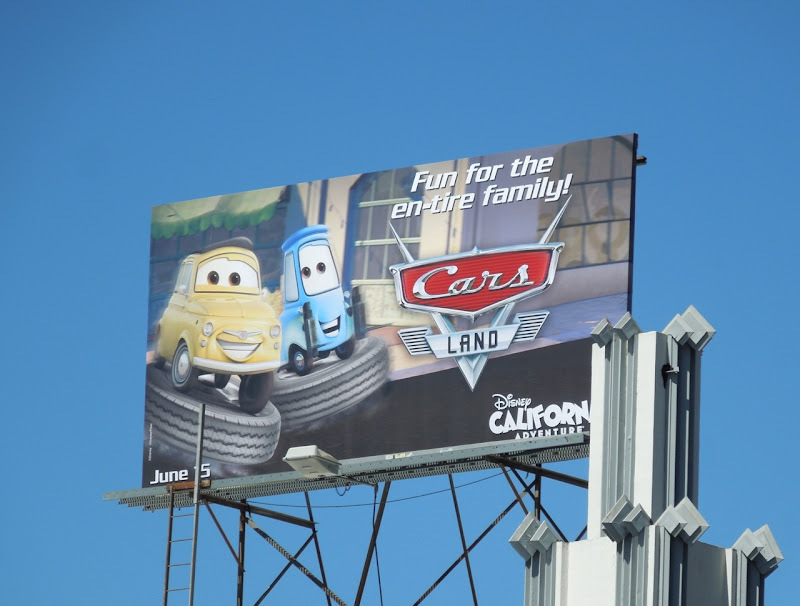 Disney/Pixar's Cars favourites 'Lightning McQueen' and 'Mater', along with their Radiator Springs friends, invite you to visit their new theme park attraction with some fun visuals and witty vehicular themed taglines, like 'You auto swing by' and 'Fun for the en-tire family'. 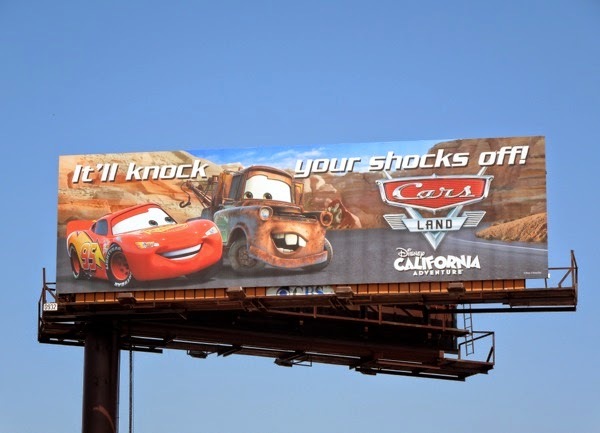 Daily Billboard is sure boys especially are going to find it hard to resist these Disney billboards. 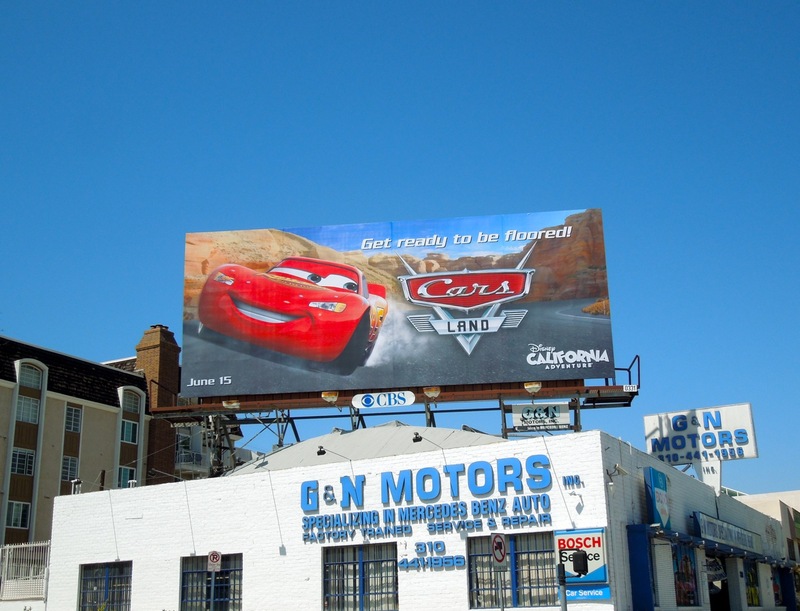 The Lightning McQueen creative was snapped along Santa Monica Boulevard at Manning Avenue, above a car repair garage no less, whilst the 'tire' versions were captured along La Brea Avnue and a smaller format along Wilshire Boulevard on June 6. Meanwhile, Mater was spotted along Highland Avenue on May 31, 2012. 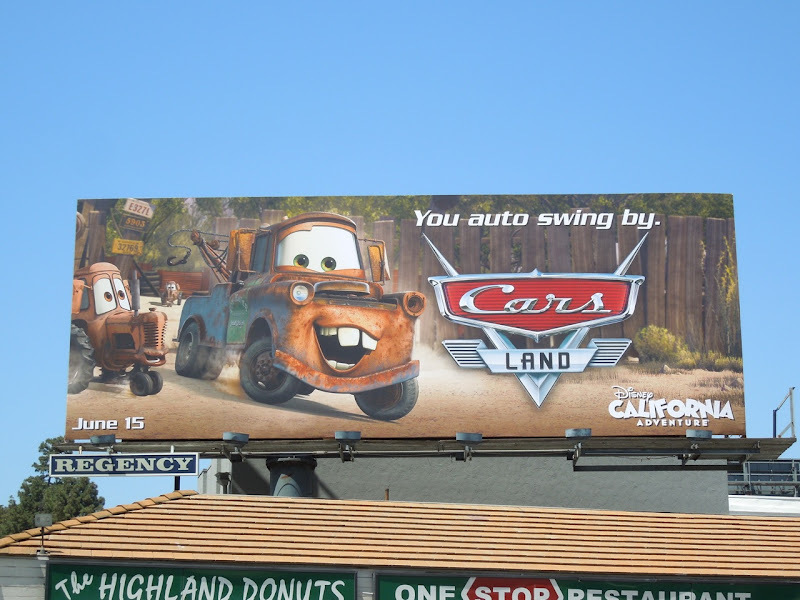 Disney Parks fans will also want to check out these World of Color billboards and Disneyland Halloween Time billboards. 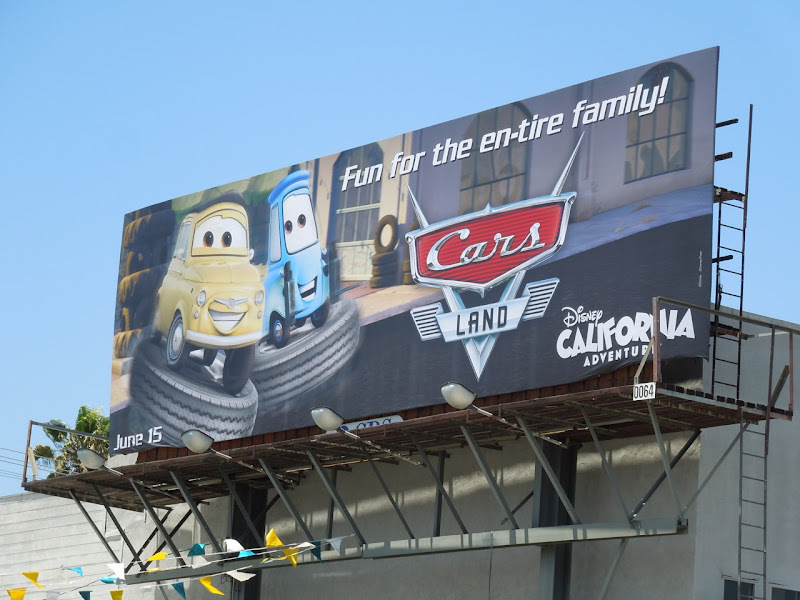 If you're big theme park fan, be sure to also take a look at this cool billboard for Universal Studios Hollywood's new Transformers 3D ride and King Kong 360 3D billboard installation. UPDATED: Two years later and Disney has updated their Cars Land creative to keep it fresh. 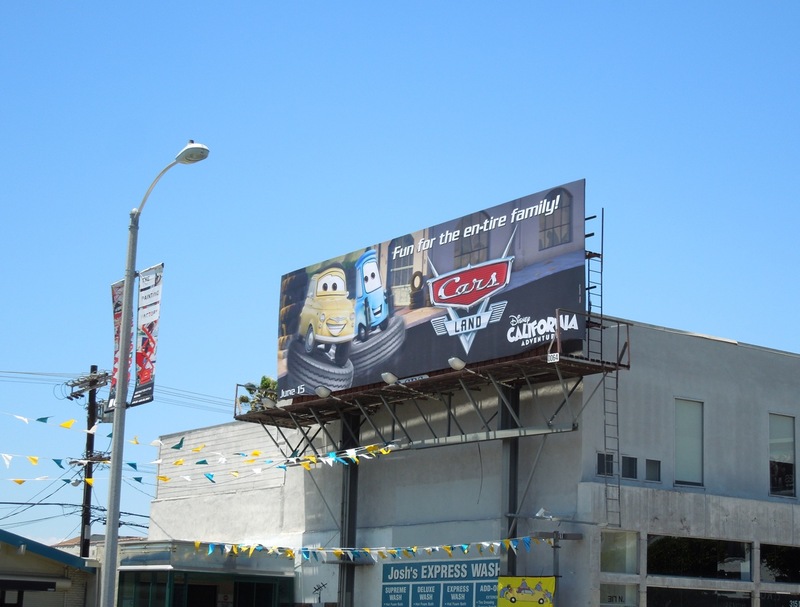 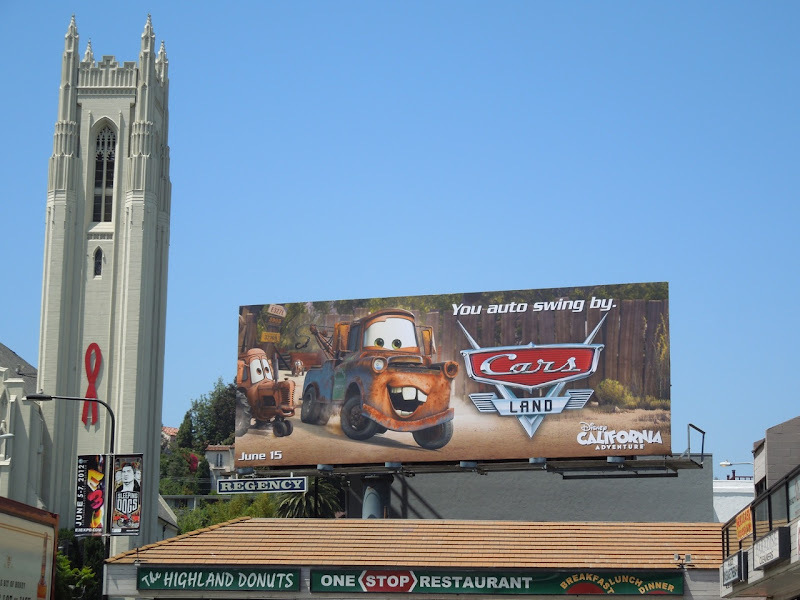 This 'It'll knock your shocks off' billboard featuring Lightning McQueen and Mater together was spotted along Pico Boulevard on June 13, 2014.